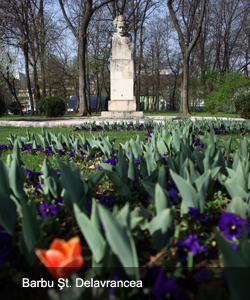 Increase the visibility of 7 (seven) cultural sites with high tourism potential in Sector 1 of Bucharest and improve the tourist offer by creating a new tourist route that shall include such sites. The cultural sites shall be promoted at both local and national level. 7. The Statue of General Charles de Gaulle. • Local companies specialized in tourism-related services. The project implementation term is 6 months, starting on the date of execution of the financing agreement and the completion date of the last project activity.